It was some other game, this is not what I purchased. Refund or give me the right game! 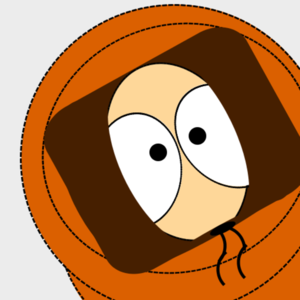 I like playing this Game because you can do lot of things alone and with your friends. You can also go on Roleplay servers and just Relax and let everything happend. The physics in this Game are also great (sometimes not but 90% of the time). Et bien que dire à propos d'Arma 3. Et bien en adepte des FPS, il fallait que je le teste pour cette partie survival extrême, mais en fait les multiples bugs de collision ont clairement eu raison de ma patience. Echt der Hammer , ich kann das spiel nur empfehlen ! Der Preis ist zudem auch sehr gerecht fertig! Ich empfehle ArmA 3 für Taktik Fans oder Liebhaber dieses Genres ! Super game , it takes a while to learn the game but after that you can easily play it and have fun with friends or ppl you dont know...you just have to be respectfull and play nice that is all , thank you ! Arma 3 est un jeu excellent. Il donne la possibilité de jouer à différents mods de jeux plus ou moins connus (altis life et j'en passe). Je le conseille vivement ! Néanmoins, le jeu est truffé de publicités intrusives lors de l'utilisation des DLC payants ! Mis trop en avant à mon goût. good game, fast delivery, awsome service and support, thanks alot.. i will buy alot more games here! It's a good simulator but it really needs some optimizations. But it is an over all good game. And a lot of modded content for it. 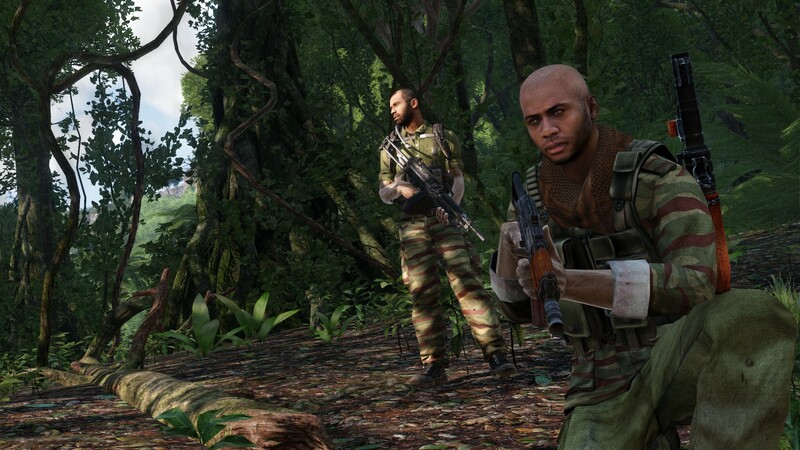 You don't even need to be a war simulation fan to play some mods for this game. Jeu acheté et activé dans la minute ! 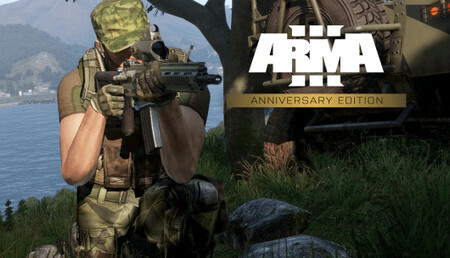 Seulement Steam m'affiche : Arma III Retail - WorldWide. J'ai pas compris pourquoi, mais dans ma bibliothèque il y avait bien Arma III ! Je suis en train de l'installé, je verrais bien si ça marche. Great game! Just purchased, tried it, and its looking amazing! 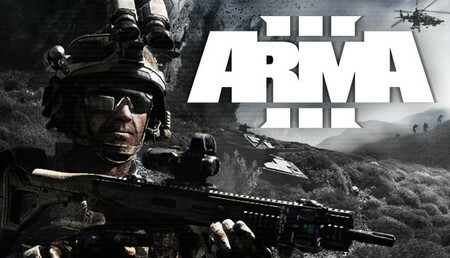 Im true fan of ArmA series, so right now im gonna wait for mods like ACE ect.! Thanks again IG! 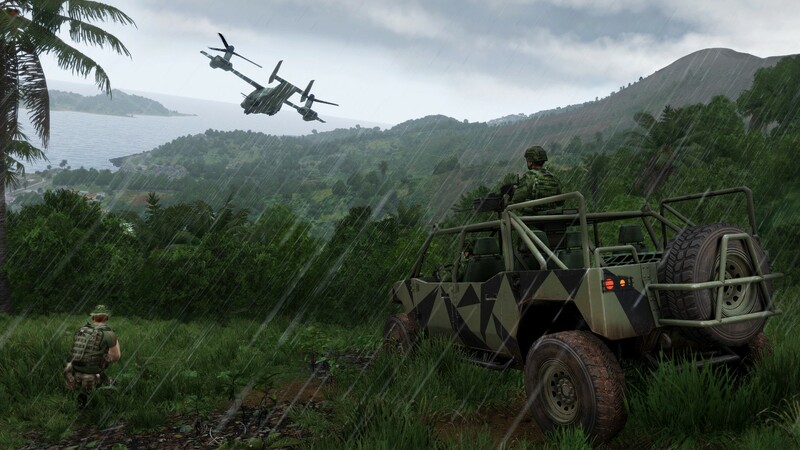 Arma 3 is a fantastic war simulator with an incredibly realistic feel that comes with it. It is THE game to play when it comes to war game simulators. Arma 3 is exceptionally good for its atmosphere, giving you the feeling of actually being there, in the middle of a war zone, fighting with the enemy. There are 2 maps and both are huge, taking quite some time to travel from 1 place to another, especially on foot. There are also a lot of mods that add to the experience. It's engine might be lacking a bit (also could be a huge resource hog, especially on the CPU), but it makes up for that by giving you a unique feeling when it comes to war games. It is unforgiving, and every mistake you make will have its consequences. It has enough vehicles (sea, air, land) to keep it interesting and a large variety of weapons you can choose from. Graphics are excellent on some higher settings. Sadly this is when hardware steps in. The game is EXTREMELY demanding (as i have mentioned in the Gameplay section) and will make your PC beg for mercy on the highest draw distance and some form of better AA, but that is to be expected from a game like this with no load times and a huge terrain. All in all a great game that i would recommend to every fan of war games! 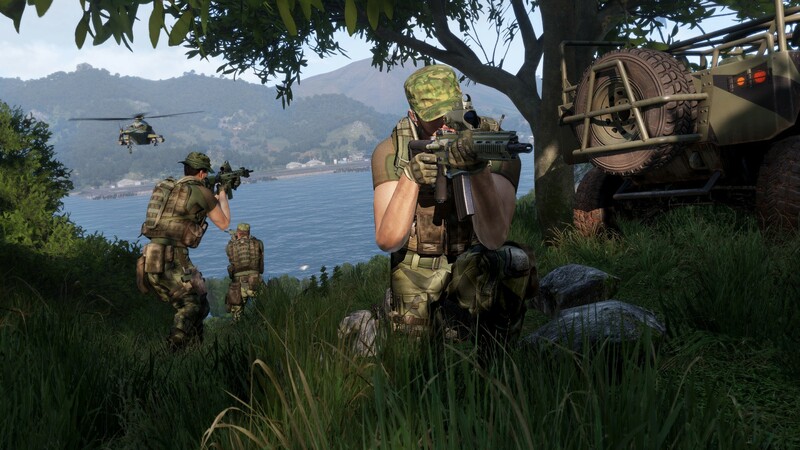 The joy and satisfaction in playing Arma 3 stems from its difficulty and complexity. 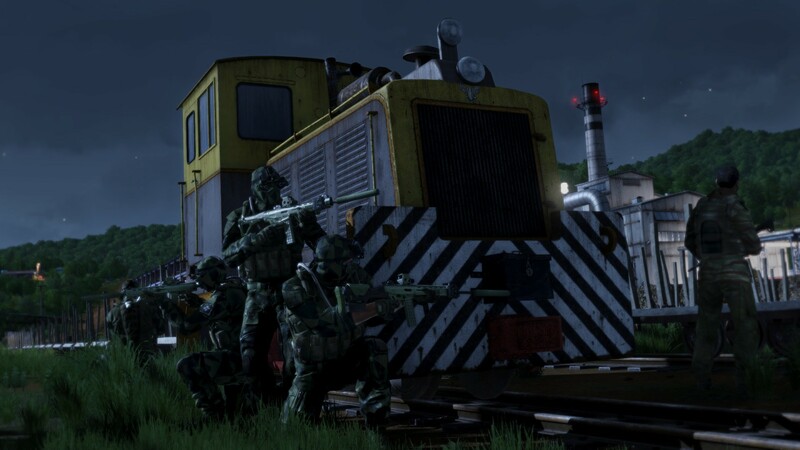 It is a military simulation engineered to make you think, to plan your movements and to play the game with tactics that are seemingly inspired by 'real life' armed forces. You can step into the shoes of almost any battlefield role: soldier / sniper/ engineer / medic/ pilot / logistics / drivers/ gunners / commanders / scuba diver, all using a plethora of vehicles. This leads to a, well documented, steep learning curve. However, with the 'bootcamp' and 'showcase' game modes, which explain the many features of the simulation, you can be sure to have a good understanding of the base game mechanics in a few hours. Following these first few hours, the real nuances begin to show. The depth and detail of the simulation demands mastery to perform well, especially in a multi-player situation where the real meat of the experience is. The practice that leads to this mastery is an often frustrating but incredibly rewarding experience. I would describe myself as an amateur after approximately 150 hours played, but I've learned enough to land a troop transport helicopter in the heat of battle, delivering 10 team mates to an objective and score points for the team. The feeling is incredible, but try the same thing too many times and other players get wise to your movements, you must adapt to survive. 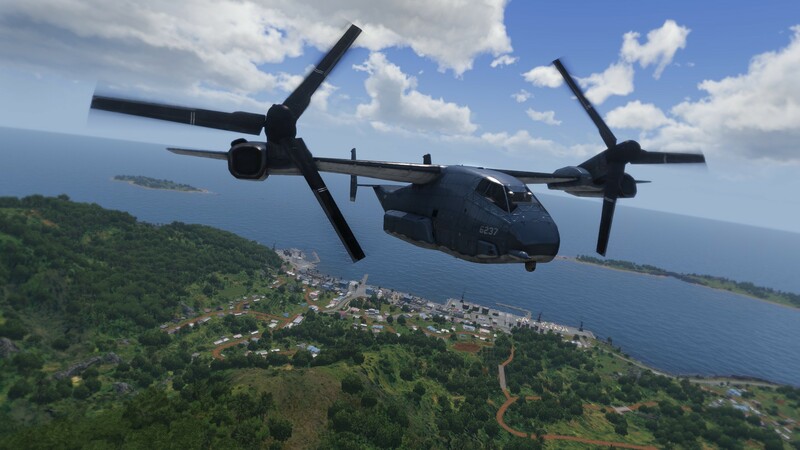 Furthermore, the community of Arma 3 is amazing, it has a vibrant mod scene, often the community improves the game as much as the frequent and impressive developer updates do. Graphically, considering the scale of the game it is impressive, with a full suite of Nvidia options such as physX and HBAO. The immersion is further improved by the quality of picture in picture, fully rendered vehicle interiors, all of which (assuming you have powerful hardware) make for a very highly detailed world. Gameplay it is equally impressive, but I must admit it lacks a certain slick feeling you find in other less ambitious fps games, with occasional bugs. However, it is never distracting or game breaking and can be excused given the sheer scope of the game, after all how many games have at least 15 stance variations, allowing posture variations while standing, crouched and prone? 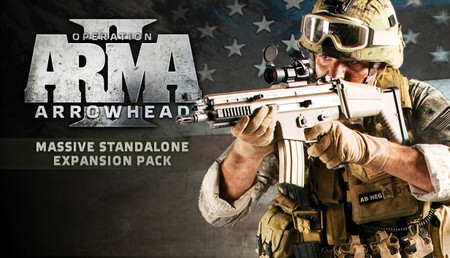 I can wholeheartedly recommend this game if you are interested in military FPS and simulation games, as it is one of the finest examples of the combination of those two genres. Excellent jeu, je conseille que ce soit pour les fans de RP ou de simulation militaire ! La map est vaste et pleines de petits endroits sympas à découvrir. Le jeu est très complet de base mais on a la possibilités d'ajouter encore plus de contenus grâce aux mods. Ottimo veloce e molto intuitivo nella grafica di come viene offerto e soprattutto chiaro,è la prima volta che ne faccio uso e sono molto soddisfatto. I giochi offerti sono molti e di tutti i generi si trova facilmente di tutto. 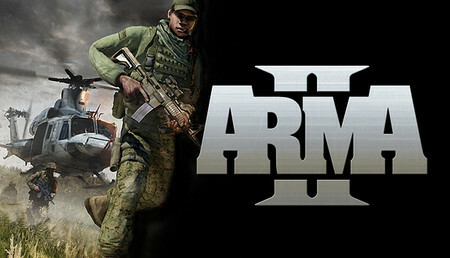 Arma III et un très très bon jeu il permet de faire du bon roleplay sur de très bons serveur que je cite, Homelife ALF - Belle-Île-en-Mer, Pacifique Life, New Éden, French Révolution Of Gaming, Escape Gaming. Serveur roleplay français permettant de jouer gendarmes sapeurs-pompiers civil sécurité dépanneur. Rejoignez donc le serveur qu'il vous plaît en téléchargeant les modes nécessaire. Malgré quelques très légers bugs en multi dans les cartes c'est un jeu sympa, très bon Game Play surtout quand on joue en multi sur des serveurs dédiés. Jeu qui n'a rien a voir avec call off ou autres beaucoup plus proche de la réalité. Arma3 finde ich ansich ein sehr gutes Spiel. Apex übertrifft natürlich nochmal alles und sorgt für viel mehr Möglichkeiten und Spielspaß. Leider läuft Arma bei niemanden den ich kenne 100% flüssig, aber Spaß beim Spielen hat man immer. Das ganze installieren mit den Mods usw dauert echt lang und die Tastenkombienationen sollte mann auswendig lernen. Arma 3 est un très bon jeux il est très polyvalent vous pouvez aussi bien jouer en RP que faire une OP spéciale que du MME. il dispose de nombre véhicule terrestre, marin et aérien d'un grand réalisme je recommande fortement ce jeux vous ne serai pas déçu. Sehr viel Spielspaß, vor allem mit Kollegen. Wird nie langweilig wenn man den richtigen Server hat. Es gibt dazu noch verschiedenste Spielmodi, von Ballern bis Roleplay machen, wenn man Spaß am reden hat. Leider stürzt bei mir das Spiel immer mal wieder ab, wenn ich zu viele Tabs offen hab. Echt ein Super Spiel ! Man kann so gut wie alles machen ! Zwar paar DLC's die etwas kosten aber auch ohne kommt man super zurecht! Die RP Server machen echt Spaß ! TDM ist auch Super!Die Maps sind meistens echt Groß! Man kann echt viel Modden und es gibt auch viele Mods! Mit Freunden kann man echt eine LANGE Zeit spielen! Sehr gutes game habe bereits über 2000 Stunden drauf aber es macht immer bock zu zocken. Es ist ein sehr abwechslungsreiches game was verschiedene Spielmodien zu bieten hat. Ce jeu est parfait pour les modes de jeux qu'il propose mais les quelques inconvénient est que la communauté n'est plus très active . J'ai acheter ce jeu pour le RP Principalement mais après pour ce qui est des serveurs officielle c'est un peu mort . Je trouve que le jeu est encore un peu chère pour ce qu'il reste . Facile a prendre en main. Pour être honnête au début j'étais très impatient pour jouer a ce jeu. J'ai regarder tous les commentaires et beaucoup de positif. Par contre pour ceux qui sont peu habitué a ce genre de jeu il faut s'armer de patience car il y a énormément de touches...il est très technique. 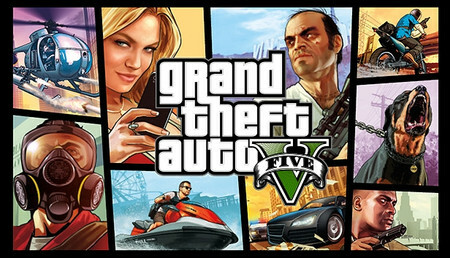 Très bon jeu car on peut faire plusieurs mode de jeux grâce au serveur modés ; en plus nous pouvons jouer avec nos amis. Nous pouvons aussi jouer en mode solo ou en mode éditeur si ne nous voulons pas jouer en ligne .